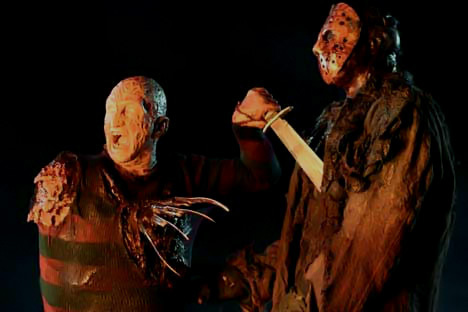 Freddy VS Jason. . Wallpaper and background images in the sinema ya kutisha club tagged: horror movies promos stills slashers 2003 freddy vs jason freddy krueger jason voorhees horror movie of the month: january horror movie of the month.